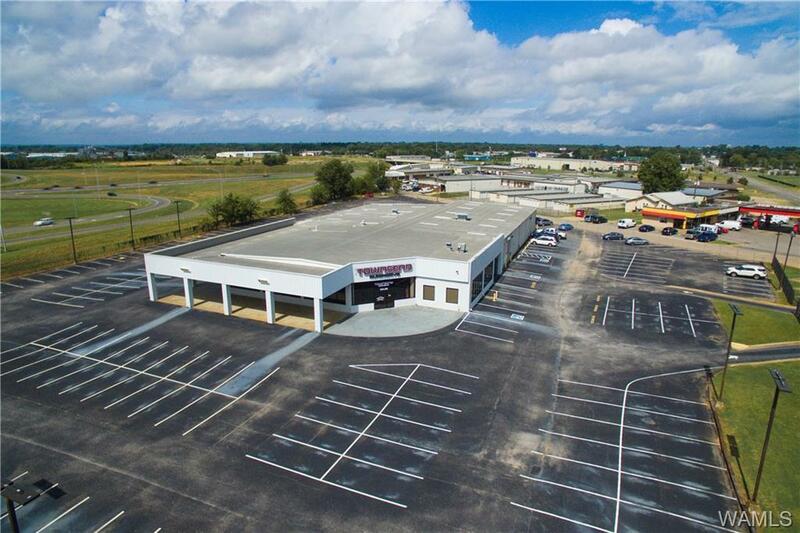 FOR SALE: ±24,000 SF MULTI-PURPOSE FACILITY ON ALMOST 3.5 ACRE SITE WITH GREAT INTERSTATE PROXIMITY. 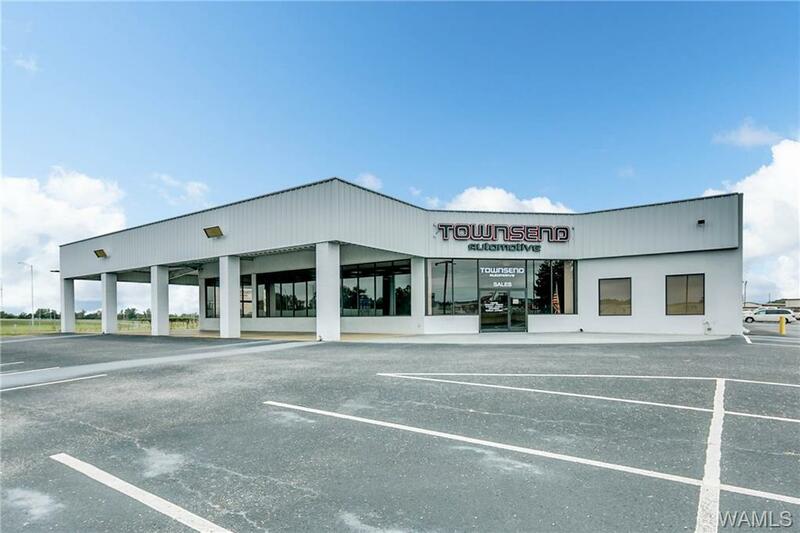 BUILDING ENVELOPE CONTAINS ±10,000 SF OF CONDITIONED SHOWROOM & OFFICE SPACE AND ±12,000 SF OF WAREHOUSE SPACE. 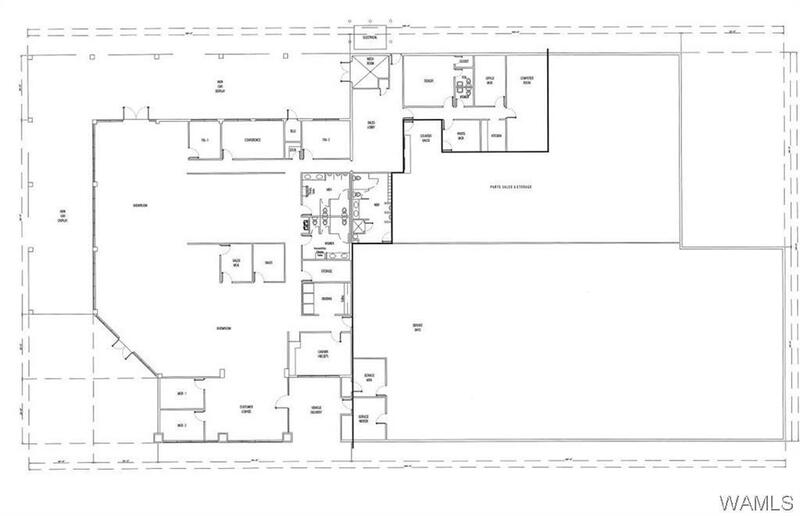 ADDITIONALLY, BUT NOT COUNTED IN THE TOTAL SF, IS ±3,200 SF OF OPEN AND COVERED DISPLAY AREA. THE SHOWROOM ENJOYS BOMANITE FLOORS AND TALL CEILINGS. THERE ARE 12 OFFICES, CONFERENCE ROOM AND UPGRADED BATHROOMS. 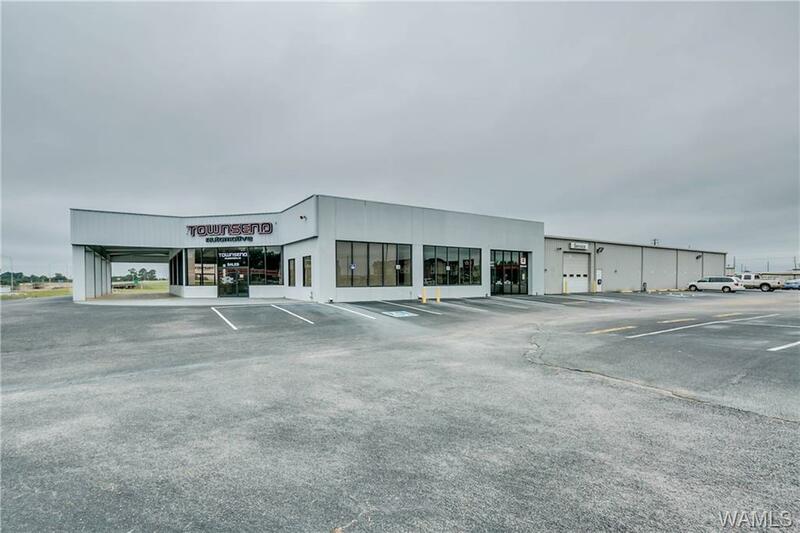 THE WAREHOUSE SPACE IS SPLIT INTO 2 SECTIONS: (1)THE SERVICE SECTION IS ±8,000 SF WITH 6' REINFORCED CONCRETE FLOORS, TWO 14' ROLL UP DOORS, 13' EAVE HEIGHTS, NINE 10,000 LB ROTARY LIFTS, AND 10 GAS HEATERS. (2)THE PARTS SECTION IS ±4,000 SF WITH REINFORCED CONCRETE FLOORS, ONE 13' ROLL UP DOOR, 15' EAVE HEIGHTS, AND FOUR GAS HEATERS. THE PROPERTY IS FULLY FENCED, ENJOYS APPROXIMATELY 200 PARKING SPACES AND HAS 13 POLE LIGHTS ON PERIMETER OF PROPERTY. PROPERTY WAS RENOVATED AFTER 2011 TORNADO, AND IS LOCATED IN THE NEWLY CREATED OPPORTUNITY ZONE. Listing provided courtesy of Donna Petty of Hamner Real Estate. © 2019 West Alabama Multiple Listing Service, Inc. All rights reserved. IDX information is provided exclusively for consumers' personal, non-commercial use and may not be used for any purpose other than to identify prospective properties consumers may be interested in purchasing. Information is deemed reliable but is not guaranteed accurate by the MLS or The Advantage Realty Group. Data last updated: 2019-04-19T14:50:24.893.